From the unit list toolbar click then select Column Chooser from the drop-down options. From the Customization form, drag and drop any of the available columns onto the list. Columns can be arranged in any order by dragging the column header to the desired location (or can even be hidden by right-clicking on the column header and selecting Hide This Column). If desired, drill down the list using any of the available sidebar filters. To print the view as a report, from the unit list toolbar, click and choose Print or Preview. To reset the current view to its original format, click then select Reset. 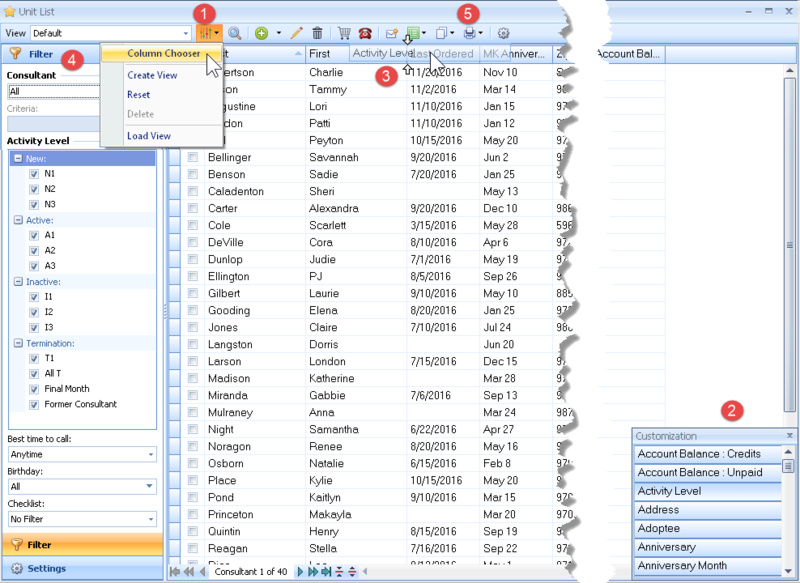 Columns can be added to the customer, unit, address, and product lists as well as sales transactions).